The Corcoran started a Save the Faculty campaign, mirroring a campaign two years ago to 'Save the Corcoran.' Faculty in the school have not been told if their contracts will be renewed next semester. Updated: April 11, 2016 at 11:28 a.m. The posters, which students hung last week, come as no faculty members in the Corcoran School of the Arts and Design have contracts for the upcoming academic year. Affected faculty said that because they won’t know about their positions for next year until the end of May, they can’t adequately plan for the future. Corcoran art programs will officially merge with the Columbian College of Arts and Sciences by the end of next fiscal year, the director of the Corcoran said earlier this year. Faculty’s current uncertainty comes about two years after GW took over the Corcoran. A full-time Corcoran faculty member, who spoke on the condition of anonymity for fear of being fired, said there is a feeling of being “frozen out” by officials. The faculty member said administrators may be waiting to release contract information until after students leave campus for the summer to avoid an uproar. The faculty member said while the merger has brought some advantages, like upgraded facilities, the sense of community at the Corcoran has faltered. When GW absorbed the Corcoran in 2014, officials laid off 150 part-time faculty and staff. All full-time faculty were given one-year contracts at the time. 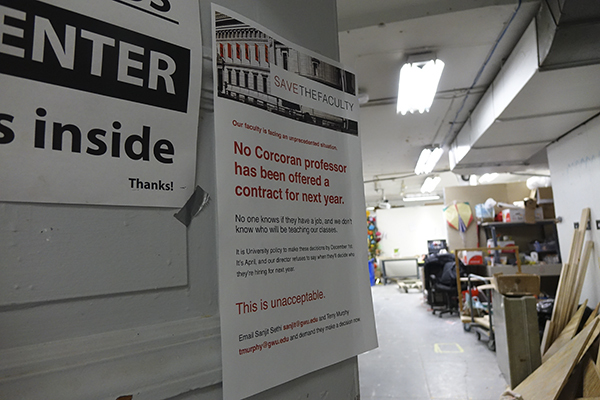 Corcoran Director Sanjit Sethi said in an email that he will renew some faculty contracts, and those who are not renewed will receive a one-year severance payment. He said all faculty will be notified no later than May 30. Sethi said he is considering factors like the Corcoran’s current and projected enrollment for upcoming academic years, its operating budget, the merge of the Corcoran’s programs with the current arts programs at GW and feedback from the National Association of Schools of Art & Design in its annual review of the art school. 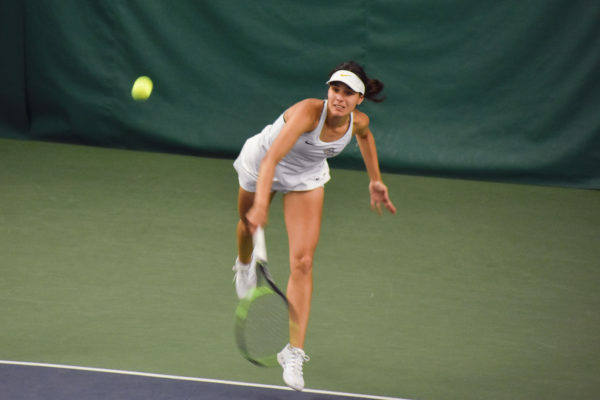 “This is a decision that must be made with a great deal of care, and I take my charge to ensure a profound educational experience for our students seriously,” Sethi said. Sethi declined to say how many arts faculty in Corcoran will lose their jobs, which of the arts programs or departments in particular will lose the most faculty, when students will know which professors are teaching their courses next semester and when the process of reviewing faculty contracts began. Because the faculty for next semester have not been determined, students have had to register for fall classes without a professor’s name attached to the course. Ashley Burns, a sophomore majoring in digital arts and the co-president of the Corcoran Student Association, said it can be difficult for students to sign up for classes when they don’t know who the professor is going to be. Uncertainty at the Corcoran is not new, Burns added. Since the merger began, Burns said it has been challenging to balance the teaching style of the Corcoran with GW’s requirements. Since last year, incoming Corcoran students have been required to take G-PAC courses. 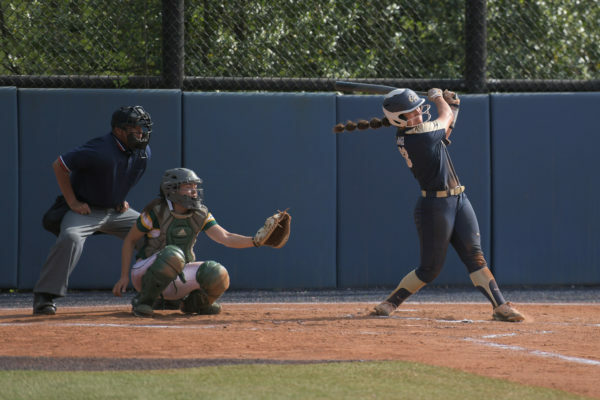 “For the rising seniors and stuff like that, it’s like you want to make sure that you get the classes and education you signed up for,” Burns said. Bibiana Obler, a professor of art history in CCAS, said while faculty are excited by the possibility of creating a stronger arts school at GW, merging programs means some faculty from both schools will lose their jobs because there is overlap in the current programs. The Hatchet incorrectly reported that CCAS fine arts faculty did not have contracts for the upcoming academic year. It is just Corcoran faculty who are waiting on contracts. We regret this error.